[tps_footer]Randeep Hooda will soon flaunt his acting skills on the silver screen with the ‘Sarbjit’ biopic. The film also stars actors Aishwarya Rai Bachchan and Richa Chadha in lead roles. 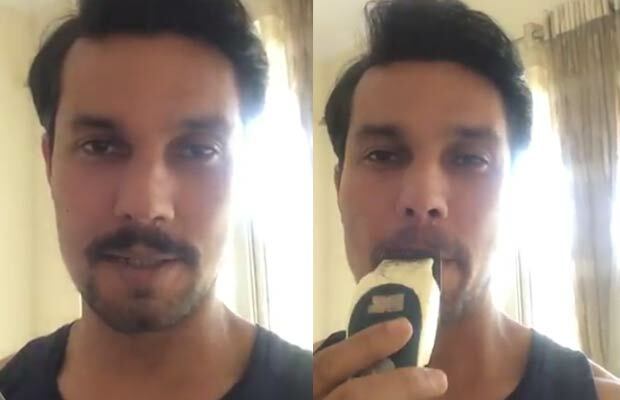 Randeep Hooda who is extremely focused when it comes to getting into the shoes of his characters did the same while he was shooting for ‘Sarbjit’. It is being said that Randeep has never donned such an intense character before. Nailing his versatility to the core, the Kick actor made headlines when he lost 18 kgs for fitting into his role as Sarbjit. The biopic ‘Sarbjit’ is based on the life of Sarabjit Singh who was a farmer in Punjab. Sarabjit Singh’s life took a drastic turn when he was convicted for spying and terror related activities. Singh spent 22 years behind the bars in Pakistan and met with a tragic end when he was killed by the inmates of the jail. The actor is seen cleaning off his mustache which he donned for his role in the film. ‘Sarbjit’ directed by Omung Kumar is a highly awaited film due to its plot. Aishwarya Rai will be seen playing the role of Dalbir Kaur (Sarabjit Singh’s sister). Previous articleKalki Koechlin Comes To Sayani Gupta’s Rescue! Next articleBen Affleck Finally Breaks His Silence On His Split With Jennifer Garner!